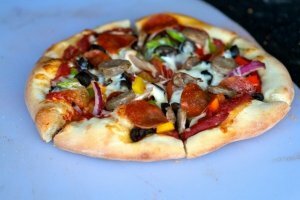 Recently tasted his pizzas while attending an event at Fenestra Winery in Livermore. He had a nice selection of standard and unique pizzas, all of which where a pleasure to taste. It was fun to watch him throw the dough - felt like I was back in NYC.